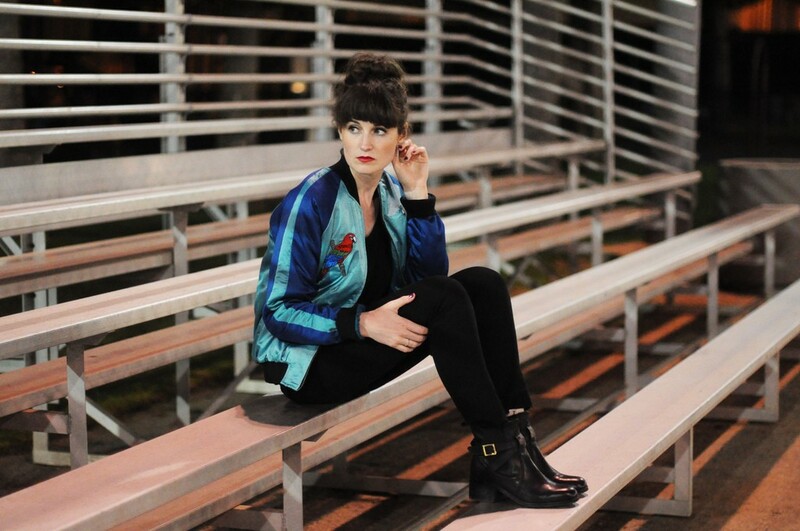 The bomber jacket is just perfect for spring. Warm enough yet not too much, and available in an endless panel of colors and embellishments. For the title, I chose the word “bomber”jacket, because this is how most people call it in 2016. Let’s have a look at their definitions. Bomber jacket: according to Wikipédia, the bomber jacket was first designed for the United Air force pilots (indeed real “bomber” people…). It had to be solid yet light and comfortable. This nylon coat, replaced the much heavier former coats. Varsity jacket: it is worn by students to represent their school and team pride. The fabric is casual: it can be boiled wool, jersey or nylon. The body of the jacket is in the school’s primary color and the arms are in the school’s secondary color. Some patches representing the school letters and award may be embroidered on the jacket. Its shape is similar to the bomber jacket. Though normally less voluminous. It is usually closed with snap buttons. Therefore, most of what we see in the stores nowadays are neither real bomber or varsity jackets but are inspired by both. This comeback is not a new thing: it started in 2011 when Tisci included some in his A/W collection for Givenchy. 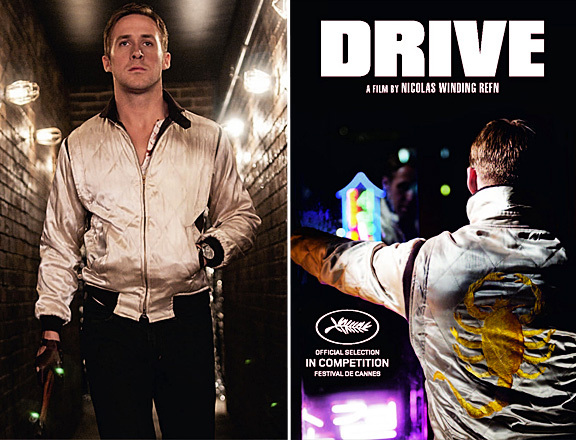 The same year, the movie Drive, starring a hot Ryan Gosling in a shiny bomber jacket, became cult. 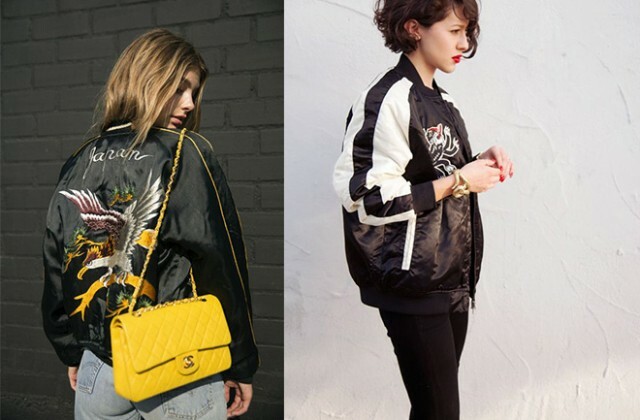 Bomber jackets never really left fashion ever since. We had sweet flower printed ones, varsity jackets like ones, transparent ones, and now satin richly embroidered ones just like… in Drive but 5 years after! 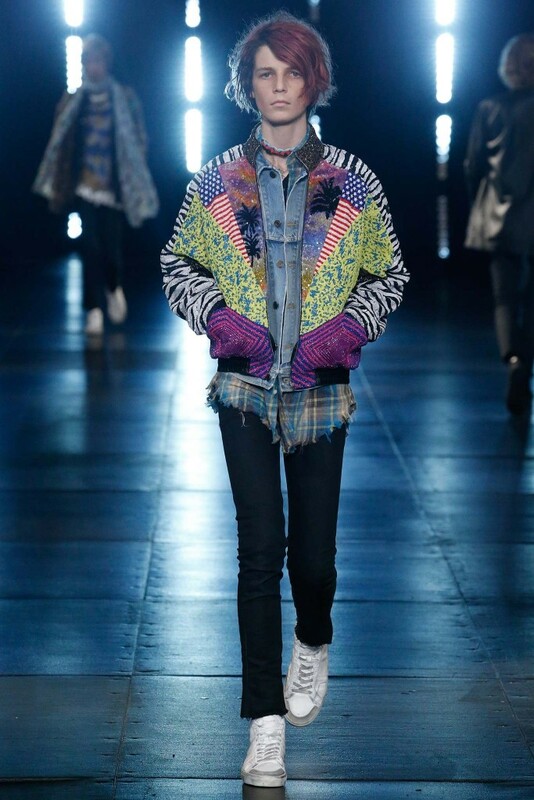 They were noticed on Saint Laurent and Gucci catwalks amongst other. And you can find them absolutely everywhere. Think of second hand and vintage stores, they may have what you are looking for. I. How to choose the bomber? As I explained the bomber is merely a shape. So you can choose every color, every fabric and every pattern. The choice of the shape has more consequences. This is the overcool way to wear it right now. Rihanna likes to hide her hands in it… but if you are not Rihanna, you’ll just look stupid (even if you are actually). I advice you to choose a bomber that stops just below your bottom and sits low on your wrists like in the Saint Laurent show. Stopping at the largest point of your hips is also a good option. This is also cool, modern and less risky to style. The waistline can stop at your waist to the top of your hip bones. II. How to style the bomber? I like eccentric bombers because they can make any boring outfit look fashionable. 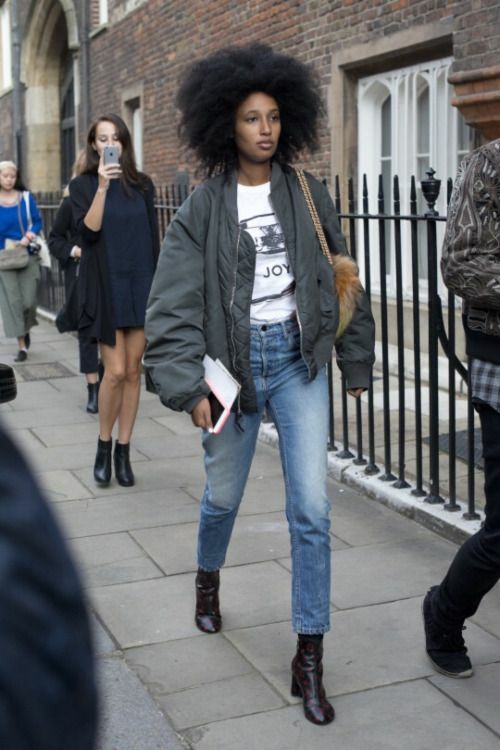 I think, that, if you choose a statement bomber, you do not need to make much more effort actually. The bomber has a round shape. It always looks nice when you balance it with a tight bottom. The comeback of the hip hugging yet not so slim jeans such as the Levis 501 is a good match for the bomber jacket. Boyfriend jeans are actually worn very low on the hips and therefore create no volume on the hips. I recommend to match them with a tight bomber jacket. Otherwise, I advice to add heels (except if you are already tall and slender). Yes they create volume, but your bare legs do the contrast. Flounces and pleats are an option. 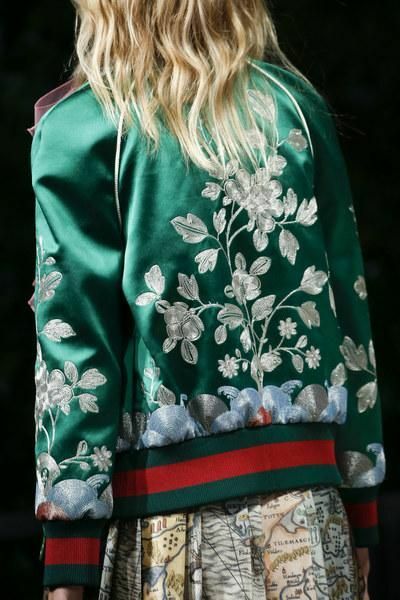 As seen on the Gucci runway, this is very tricky in terms of proportions. The safest way is to choose a very tight bomber and to close it it order to define your waist. A-line skirts, culotte pants, harem pants, bubble skirts… and anything that creates a rigid volume directly on the hips. If worn opened the bomber jacket acquires a triangle opening on the front which makes you look larger. (Proof that the outfit was guilty and not the girl, here she is with something flattering). Even if you are Blake L the match does not works. If worn closed the bomber jacket modifies the shape of those bottoms and create unwanted pleats. You can manage the mix if you wear a tight bomber which waist meets the waist of your A-line skirt. When you have no idea what to wear, pic a basic and all will be fine. To contrast with the bomber sporty DNA. Thanks Isabel for the style lesson. Be creative, find some new matchs. Make you look like a bad girl in a good way. Nicely spices the sporty DNA of the bomber. A. Do I wear it opened or closed? As seen above, both work. Well, they’ll interfer with the collar a bit, but I prefer to stay warm if needed. I’ll pick a sixties tight scarf that reveals the collar underneath or a big scarf that hides it completely. 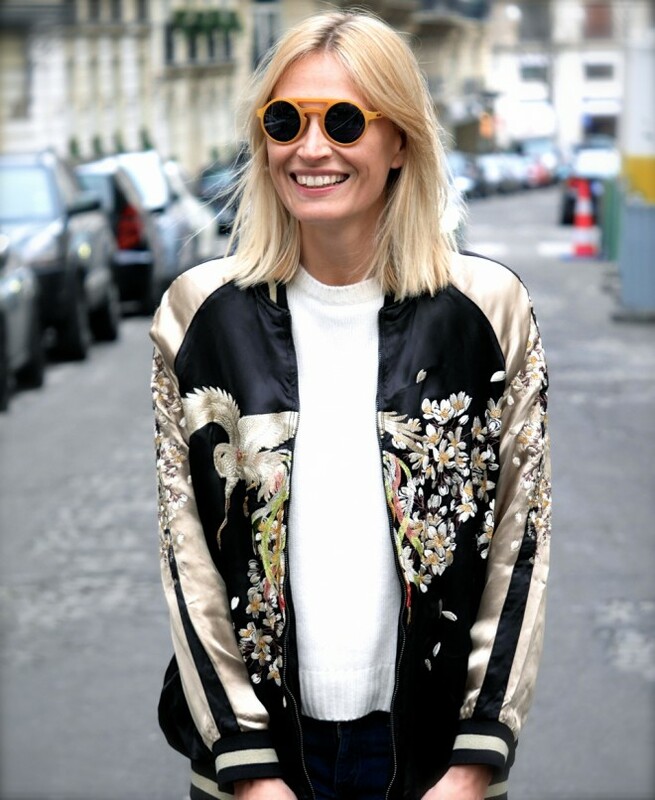 Ready to be the bomb in bomber jacket? bonjour je voudrais savoir comment se porte un bomber blanc ?? 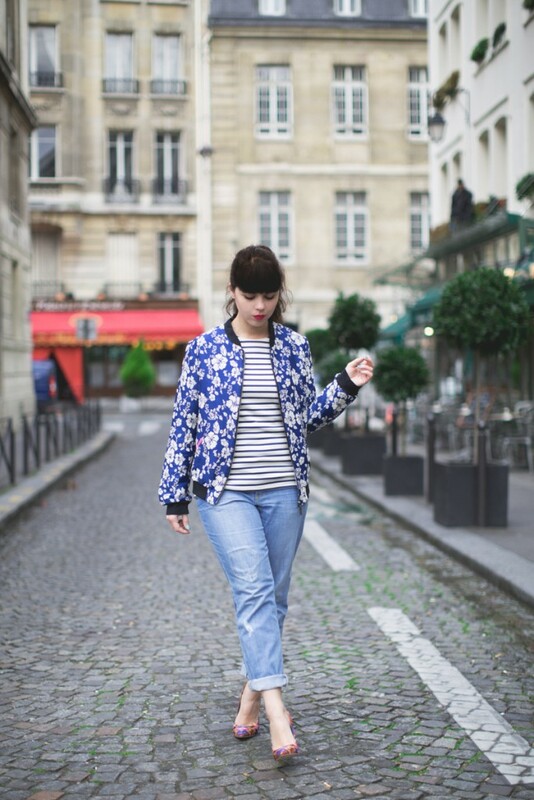 J’aime beaucoup l’association bomber + jupe crayon+baskets cependant l’hiver arrive et je me demande si ce look passe avec des collants, disons que c’est l’association collants + baskets qui me fait hésiter. Qu’en penses-tu? à bientôt et merci pour tes conseils ainsi que tes articles qui sont toujours aussi agréables à lire! Il est chouette celui ci! Je suis d’accord que le risque de ringardisation existe… mais si on aime, on aimera toujours demain non? avec une robe noire droite et moulante (chez Asos maternité : http://images.asos-media.com/inv/media/9/9/4/1/6371499/black/image1xxl.jpg ) ? Avec cet article très tentant, j’en ai acheté un en satin noir et brodé de fleurs claires, un peu “japonisantes”. Puis-je le mettre avec un jean blanc étroit ? ca me semble très joli! 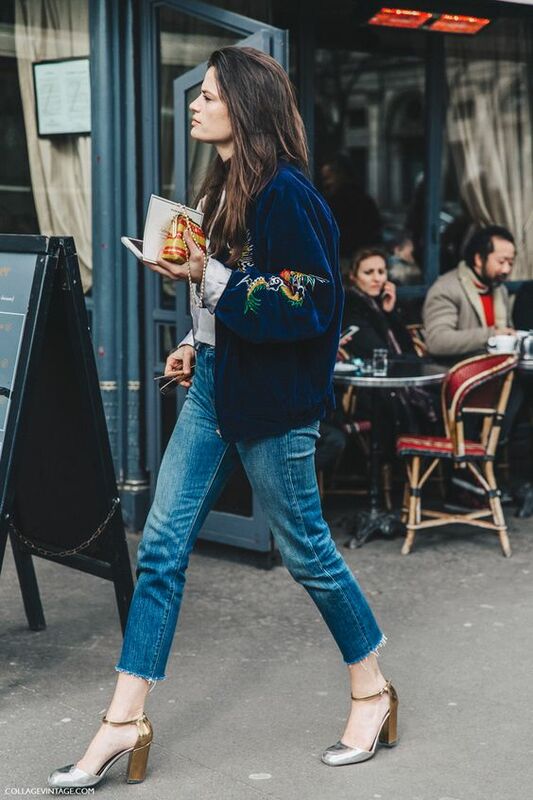 Je vais donc aller voir du côté des hauts romantiques pour essayer de changer des hauts basiques auxquels je cantonnais mes bombers… Je comptais surtout une paire de sandales vertes à talon chie mihara pour habiller mes petits blousons, le résultat est très chouette.